We've pretty much packed all our stuff, save a few final items. 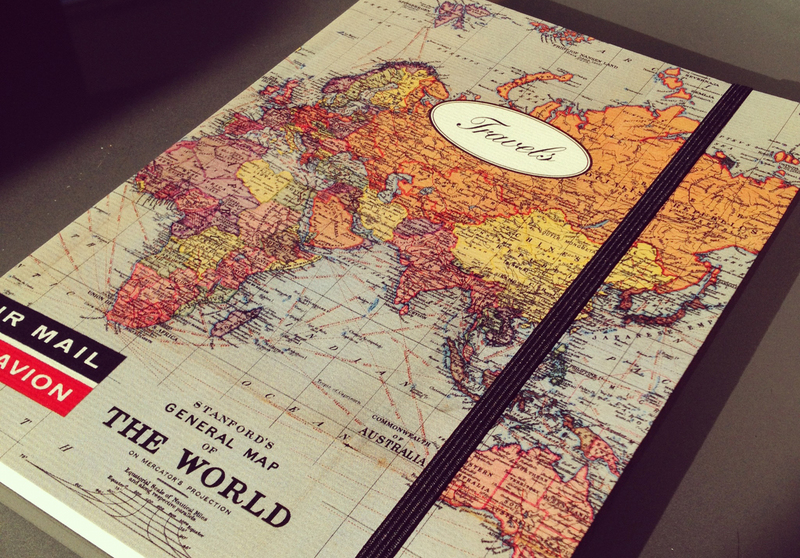 We've got our tickets, passports and all that jazz and now... we have a travel journal. I figured this is our first holiday as a married couple so it'd be cool to keep a sort of scrapbook. The idea is to basically keep adding to it as we follow through on other travel plans over the next few years and build up a collection of them to look back on when we're old gimmers.